Cosy 3 bedroom self catered chalet sleeping 8 guests with sauna, Jacuzzi and balconies to enjoy watching beautiful winter sunsets after a days skiing! Chalet Angora has 3 bedrooms (2 doubles and a triple) and can sleep an 8th person in a separate single sized bed. The kitchen/dining area is open-plan with a well-equipped kitchen. The cozy lounge is on the top floor with a large balcony leading out to the Jacuzzi. This is a fantastic self catered chalet for families and smaller groups of friends. 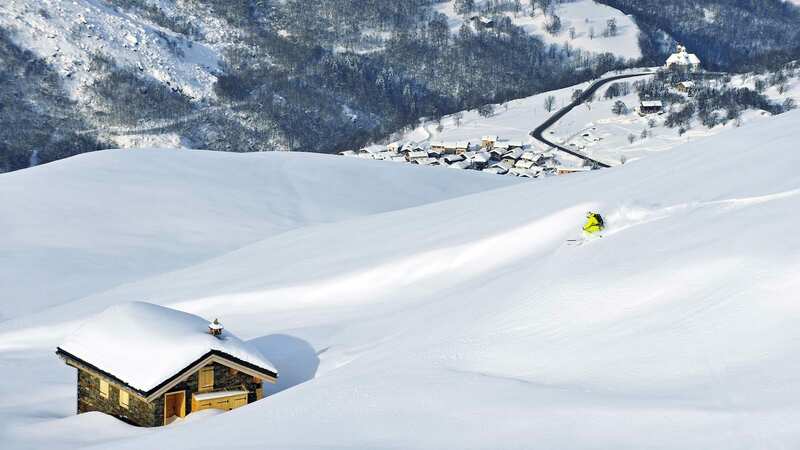 New to us for the 2018/19 ski season, Chalet Angora is a beautiful chalet, sleeping 8 guests and so is perfect for a family or small group. It is located in the exclusive village of St Marcel, just above St Martin de Belleville. The open plan kitchen/dining area comprising of a modern kitchen, comfortable dining area and comfortable seating. A patio door opens up onto the large balcony with fantastic views over the valley, and leads out to the 8-person Jacuzzi. The living room is on the top floor and is wonderfully light and spacious. Master bedroom 1 – has a generous en-suite bathroom and a king sized bed that can be made into a twin. Bedroom 2 – has a queen sized bed, wardrobe for storage and en-suite bathroom. 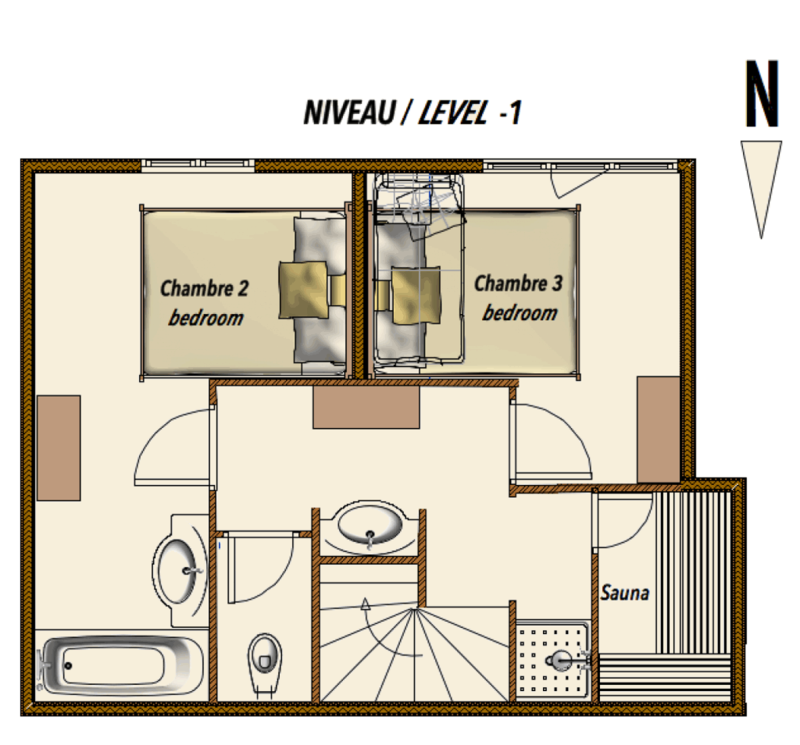 Bedroom 3 – has a queen sized bed, wardrobe for storage and a shower room located outside next to the sauna. Alcove – Sleeps one person in a 80 x 190 cm bed.